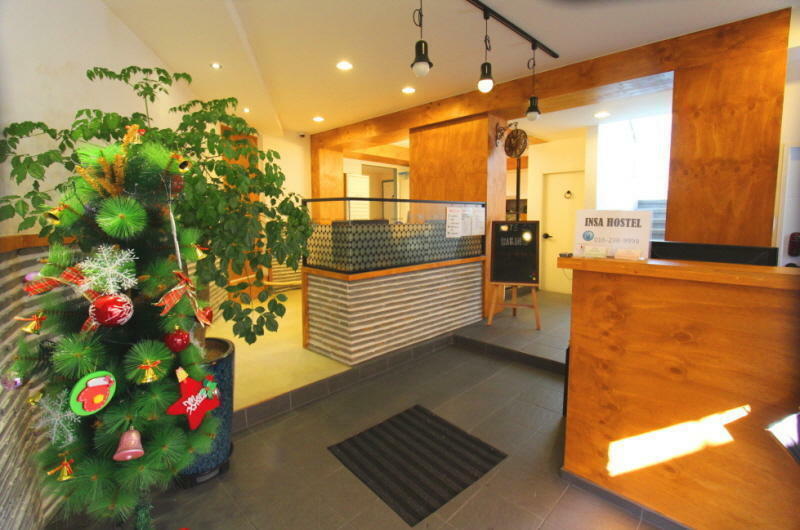 Insa Hostel is located in the representative cultural center of downtown in Seoul. Less than 1 minutes walk to enjoy the main Korean culture street (Insadong) and Korean traditional houses..
Insa Hostel Insadong is opened in August 2013, the Korean traditional street. Welcomes travelers of all walks of life to experience the Korean culture, make new friend, chill around, and lots more. All rooms of Insa Hostel Insadong are ensuite (with bathroom). There are 2 common area, one on the Ground Floor (with Kitchen) and the other is on the roof top. FREE : Wifi, Breakfast,Laundry, Toiletries, Towel, and many more. - From airport, take the airport railroad train until Gongdeok station. - Transfer to Line 3 ( Orange line) and get off at Anguk station Exit 6. - Board the bus at the airport and get off at Anguk station. Walk to Exit 6 of the subway. - From airport, take line 5 (Purple line) to Euljiro 3 (sam)-ga station. At exit 6 of Anguk station, you will see a car park and police station. Take the junction in between the Police station and car park, walk straight till dead end, turn left and then turn right. Walk less than 100m, you'll see Insa Hostel on your right.